Lubrita Europe B.V. committed to sustainability by developing high-performance automotive and industrial lubricant products, services and provide latest solutions. Our commitment to sustainability isn’t only about operating our own company in an environmentally responsible way. 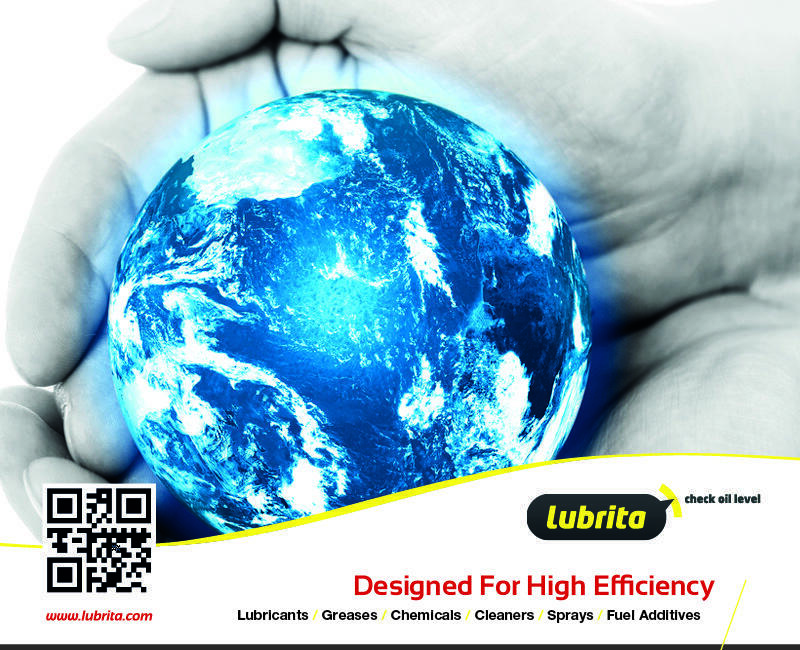 Lubrita high-performance lubricants and services provide solutions to help you do the same. In balance for economic growth, social development, environmental protection. We care that future generations are not compromised by actions taken today. • Safety, health and the workplace by communicating potential risks and product-management best practices. • Reducing environmental impacts and resource utilization in the manufacture and distribution. • Promoting economic and social development by supporting local businesses, communities and organizations. • Managing climate risks through research on reducing emissions and industry energy use. • Respecting human rights and security by ensuring our business presence has a positive influence on humans and local communities. • More efficient equipment and fuel economy benefits to reduce energy and resource consumption, emissions and costs. • Longer oil life to reduce lubricant consumption, used oil generation and operating expenses. • Extend equipment life to maximize equipment lifespan and operational uptime, helping decrease maintenance, disposal and replacement costs. • Environmentally acceptable products, like our specialized biodegradable lubricants line, deliver maximum protection for soil, groundwater and surface water systems, where environmentally acceptable products are required.